Could everyone’s favorite Illuminati duo be coming to an end? 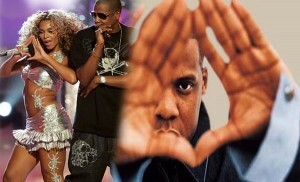 like wildfire, what does it mean for the King and Queen of the Illuminati if there really is a split? For weeks now, the press has hounded Beyonce and Jay-Z. There have been reports of them looking for separate dwellings. Then there were reports of them and their daughter happily hanging out together as a family. Now, the latest report is that the seating chart for the MTV Video Music Awards Sunday evening shows that the Illuminati darlings will not be seated together. Many are looking to this as a sure sign that something is amiss. These seating charts could be easily faked, and we all must realize that this is big news that can get many clicks on an Internet story. It’s also a story that has only a couple of hours of life before it will no longer be relevant. Most likely, this story has been fabricated to get some Internet traffic and buzz started before the show begins and the rumors are proven to be false. Both parties have seemed to be going out of their way to dispel these rumors in recent days, and it’s hard to believe that they would pick tonight of all nights to go public with it. All of this pretending, why not pretend one more night? In any case, whatever happens tonight, you can bet the Illuminati as well as Beyonce and Jay-Z know exactly what they are doing. Previous PostSuge Knight Shot Again at VMA Pre-Party — Illuminati’s CockroachNext PostMany Question Official Story from Police From Supposed Fireworks Set Off at West Alabama State Fair — Gunshots?